If you're looking for pure power, look no further. OPTIMA Batteries deliver supreme performance and reliability. Unlike traditional lead acid batteries, OPTIMA batteries feature two long pure lead-tin plates wound into a tight spiral, separated by an absorbent glass-mat (AGM). The sponge-like AGM holds the electrolyte in place between the plates. The SPIRALCELL design eliminates plate-to-plate movement and shedding of the active lead past material, a common cause of battery failure. 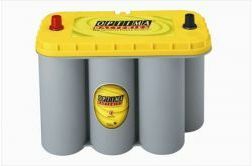 The Optima battery I bought provided supreme power and pure performance and reliability. 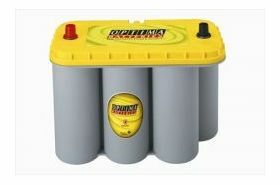 If you want high performance, I will recommend this Optima yellow top battery. Great service.